Do you trust wooden planks with visible cracks to hold your weight? If you’re smart, you test their strength before trusting them. You do that because you know cracks weaken solid objects, even if they don’t cut all the way through. Weight or force on those weak points makes objects even less stable and more likely to snap completely. The same principle holds true for your bones—especially the ones that spend the majority of the time supporting your body, like those in your lowest limbs. When splits appear, even small ones, the whole foundation is weaker and more prone to developing a break. Thin cracks that don’t cut all the way through a bone are called stress fractures. If your foot is swollen and painful – especially when pressed in one spot and when you’ve been walking or exercising – you could have split a bone. Generally pain from this condition does tend to decrease when you rest the affected foot, and will return when you try to use it again. Without treatment, the crack can worsen and cause you pain even when you aren’t active. The split occurs over a period time as a result of repeated trauma and overuse. Hard impacts and high force strain the bones in the foot. A sudden increase in activity, not conditioning properly, and conditions that weaken the skeleton all put you at risk for developing this problem. When your muscles are too worn out to absorb the shock properly, the bones take it all. This small fracture can become a full break if put under enough force, so you do need to have it cared for before it can worsen. When you come to Dallas Podiatry Works with foot pain, Dr. Joel W. Brook, Dr. David R. Northcutt, Dr. Irene Arroyo and Dr. John Baca examine your lower limbs thoroughly. They will need X-rays or other diagnostic images to check for a stress fracture. Once they have diagnosed the cause of your pain, they are able to help you begin your path to healing. Pain medications can deal with the discomfort, but removing pressure from the bones is the most important step for the split to seal. You will need to rest your foot for a time, and cut back on your activities—especially any high-impact movements, like running. You might need a special boot or brace to stabilize it. For more serious cracks, knee walkers or crutches may help you avoid putting weight on them. If the fracture has already progressed to a break, you might require a splint or cast. After your foot has rested and the crack has had a chance to heal, the physicians will let you know if your foot is safe for activity again. You may need some physical therapy or other conditioning to return your lower limbs to full strength and avoid reinjuring the bones. Make sure you also wear properly supportive shoes or orthotics to cushion and protect the feet, especially when you’re active. Discomfort in the feet and ankles is never supposed to be normal. 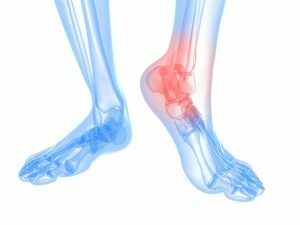 If you’re experiencing pain in your lowest limbs, contact Dallas Podiatry Works to have it evaluated by an expert today. A stress fracture starts small, but they get worse with time and pressure. Rather than allow it to become a full break and require a longer healing time,make an appointment or request more information about your feet. Visit the online contact page, or call either our Dallas or Plano offices to reach us: (972) 566-7474 for the Dallas location, or (972) 943-3323 for the Plano office.